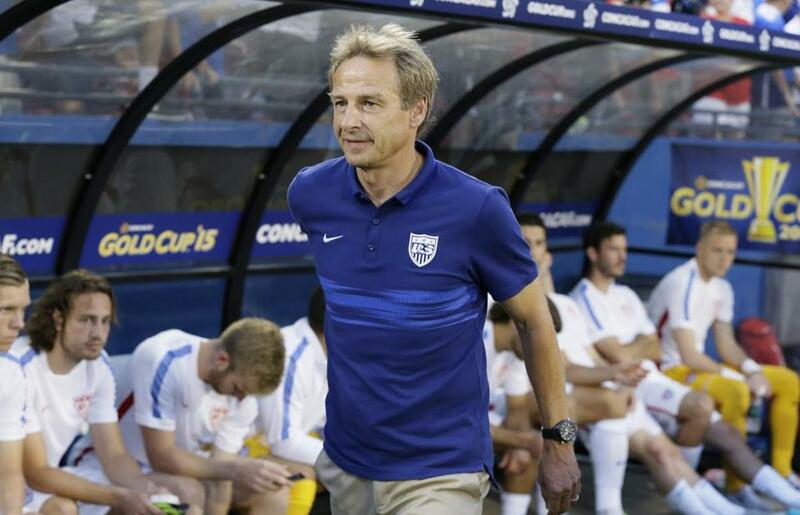 Coach Jurgen Klinsmann and the US national team take on Haiti on Friday night at Gillette Stadium. FOXBOROUGH — After a four-year absence, the US national men’s soccer team will be playing at Gillette Stadium twice in the next two months. The United States meets Haiti in a Gold Cup group game Friday night and plans to return for a Sept. 8 exhibition against Brazil. The US-Brazil match is expected to be confirmed soon, according to multiple sources close to the situation. US Soccer recently announced the team will play against Peru in Washington D.C., on Sept. 4. And the Brazilian Football Confederation noted the team will be competing in the United States twice in September, against Argentina and an undetermined foe. The United States has a 16-2-5 record in Foxborough since 1991, sustaining a 4-0 loss to Spain in its last appearance June 4, 2011. The United States has won once in 17 games against Brazil since 1930. Brazil has performed three times at Gillette, before crowds that averaged 61,313, since 2007. The Brazilians defeated Mexico (3-1) Sept. 12, 2007; lost to Venezuela (2-0) June 6, 2008; and defeated Portugal (3-1) Sept. 10, 2013.